Lake Success, NY—Canon USA added three Pixma printers and a CanoScan photo scanner for printing, archiving and sharing photos. The Pixma MG6320 and MG5420 Wireless Photo All in One (AiO) and wireless Pixma iP7220 photo printers represent an update to the Pixma line with sleeker, space-friendly form factors. The CanoScan 9000F Mark II photo scanner allows users to scan film and archive images with a slide and negative adapter. The compact Pixma Wireless Photo AiO printers feature a snap-edge design to improve the overall look of the machines while allowing access to the device’s ink cartridges. They have a low-height body to reduce the space needed to open their scanner, and a new paper cassette on the MG6320 and MG5420, as well as on the iP7220, permits the printers to sit flush against a wall. Advanced media handling is also possible on the MG6320 and MG5420, with dual front paper cassettes, the ability to choose auto duplexing to help reduce paper usage and direct disk print to help users more quickly customize projects. 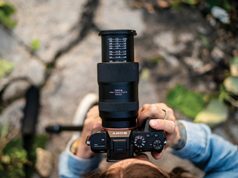 The Pixma MG6320 has a 3.5-inch touch-screen LCD and Canon’s intelligent touch system so only the necessary keys are illuminated. The CanoScan 9000F Mark II scanner has seven EZ buttons to scan, copy or create a PDF with the touch of a button. With built-in wireless and mobile printing on the Pixma printers, images can be printed from anywhere in the home. These models work with the Canon Easy-PhotoPrint mobile app for Android and Windows RT smartphones and tablets, as well as Apple iOS devices, providing printing of photos and PDFs of documents. The printers also support My Image Garden software from Canon, which helps users organize, customize and share their images, and they support AirPrint wireless printing from iPhone, iPad and iPod touch mobile devices. Other features include an auto power on mode that can be used to receive a printing task, even if the device is powered off at the time it is received. In addition, two-sided printing can be set as the default for copy, PDF file print and template print, which can help reduce overall paper consumption and cost. 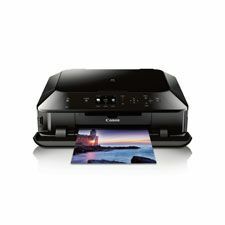 The Canon Pixma MG6320 ($199.99) and MG5420 ($149.99) Wireless Photo AiO printers incorporate individual dye-based color and pigment black ink tanks that are part of the ChromaLife100+ ink system. The MG6320 includes six color ink tanks, including gray, while the MG5420 has five color ink tanks. 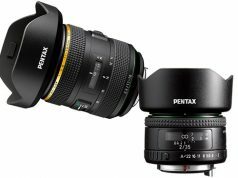 Each model can produce borderless, edge-to-edge 4×6-inch photos in 21 seconds at a maximum color resolution of 9,600×2,400 dpi. 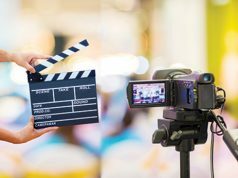 Full HD Movie Print can also be used with both models to produce images of video frames from videos captured on compatible HD Canon EOS and PowerShot cameras and Vixia camcorders. The single-function Pixma iP7220 wireless photo printer has an output speed of 15 images per minute (ipm) in black-and-white and 10 ipm in color and is capable of producing a 4×6-inch borderless photo in 21 seconds. It, too, has a maximum color resolution of 9,600×2,400 dpi. $99.99. Previous articleDIMA 2013 Conference Vendor Reception: A Must-Attend!